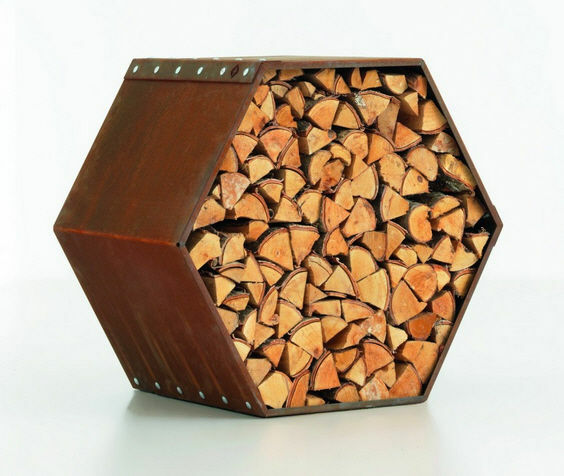 WoodBee is more than a wood storage. 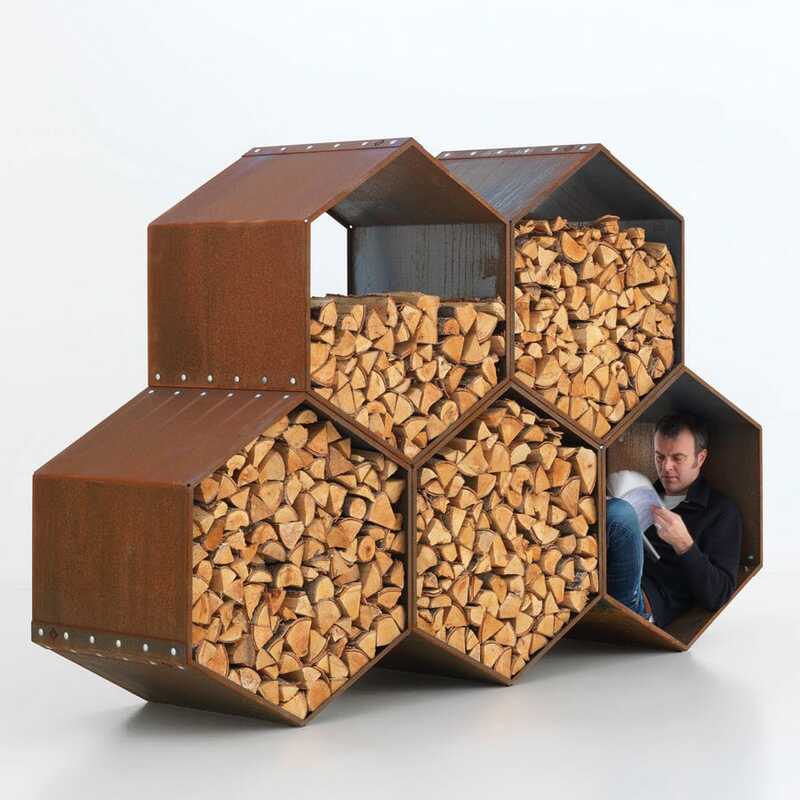 With its unique honeycomb structure, the Woodbee is a charcteristic way of storing your wood and is expandable to your wishes. 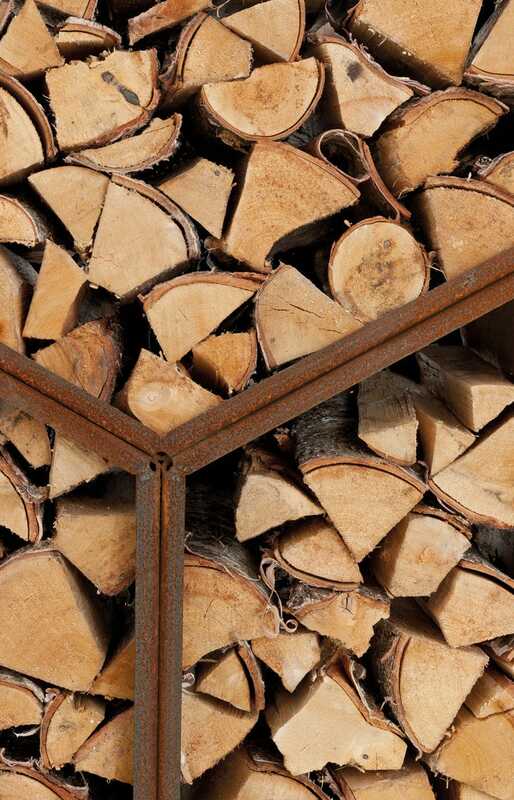 Depending on the heating habit, WoodBee can be composed of one, three or even more elements. 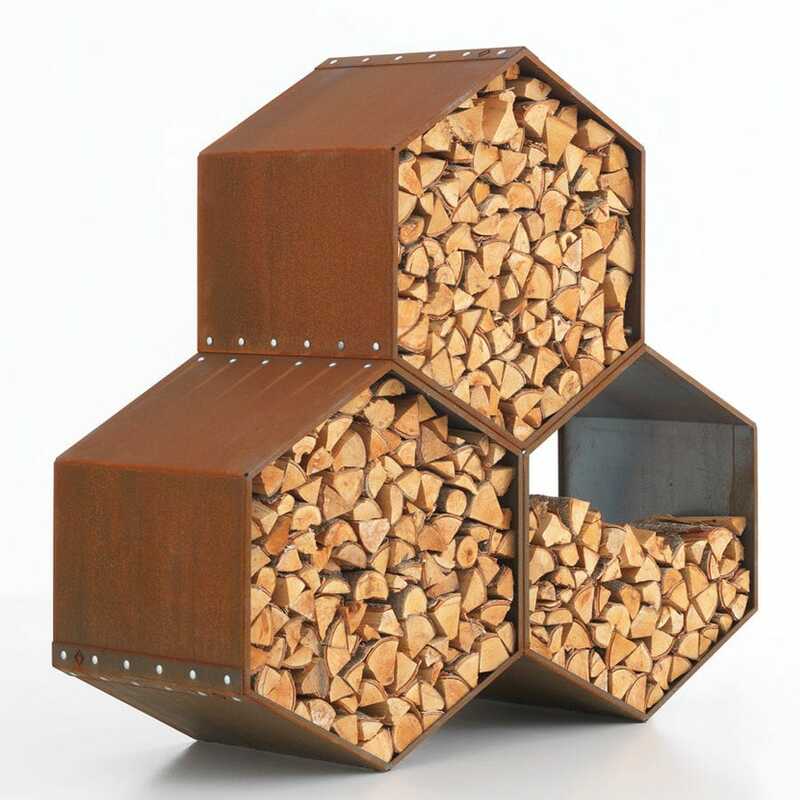 One element is 86cm wide and 99cm high and holds 1/3 of 2 cubic meter of fire logs. The Woodbee Wall is manufactured from Cor-ten steel: a special alloy which forms a rust layer that protects the deeper layer of steel against corrosion. 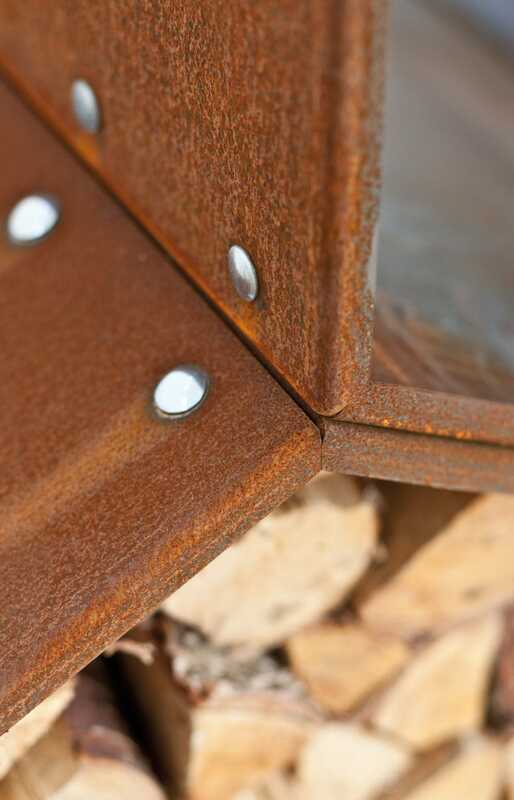 When exposed to the elements the steel gets a beautiful red glow, while keeping its solid construction.